Many data stream processing systems are increasingly being used to support applications that handle sensitive information, such as credit card numbers and locations of soldiers in battleground [1,2,3,6]. These data have to be protected from unauthorized accesses. However, existing access control models and mechanisms cannot be adequately adopted on data streams. 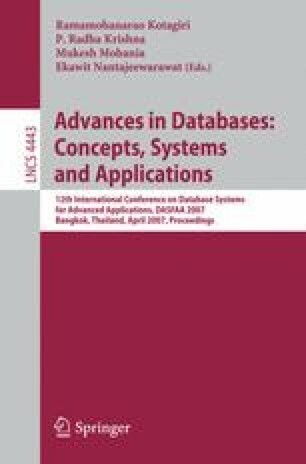 In this paper, we propose a novel access control model for data streams based on the Aurora data model . Our access control model is role-based and has the following components. Objects to be protected are essentially views (or rather queries) over data streams. We also define two types of privileges - Read privilege for operations such as Filter, Map, BSort, and a set of aggregate privileges for operations such as Min, Max, Count, Avg and Sum. The model also allows the specification of temporal constraints either to limit access to data during a given time bound or to constraint aggregate operations over the data within a specified time window. In the paper, we present the access control model and its formal semantics.